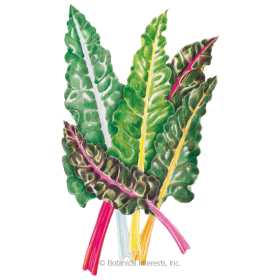 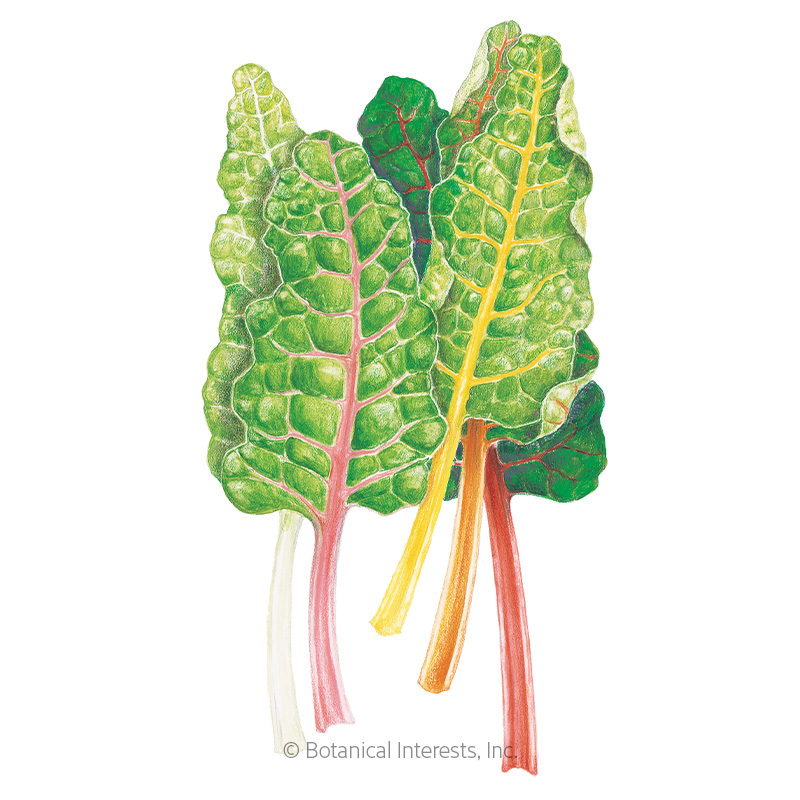 Swiss chard is a leafy green vegetable that, closely related to beets, has been cultivated for thousands of years. Not picky about the weather, it produces wide, fan-like, savoyed (crinkled) green leaves, and thick, crunchy, edible stalk all growing season. 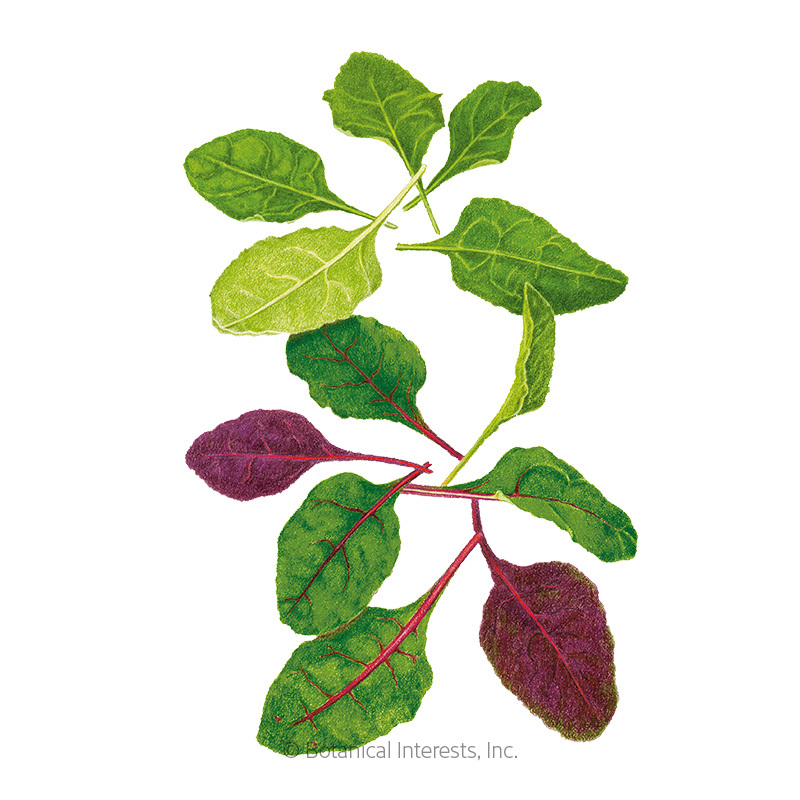 Also, you can sow seeds more closely and frequently to enjoy it as a baby green. 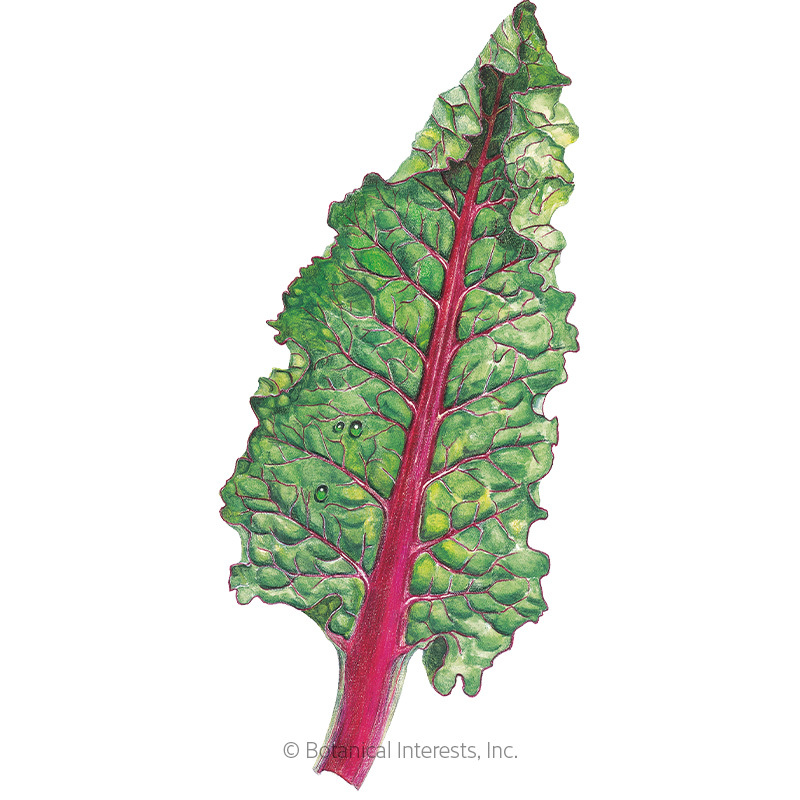 This frost-tolerant green can withstand light to moderate frosts, overwintering in many climates. 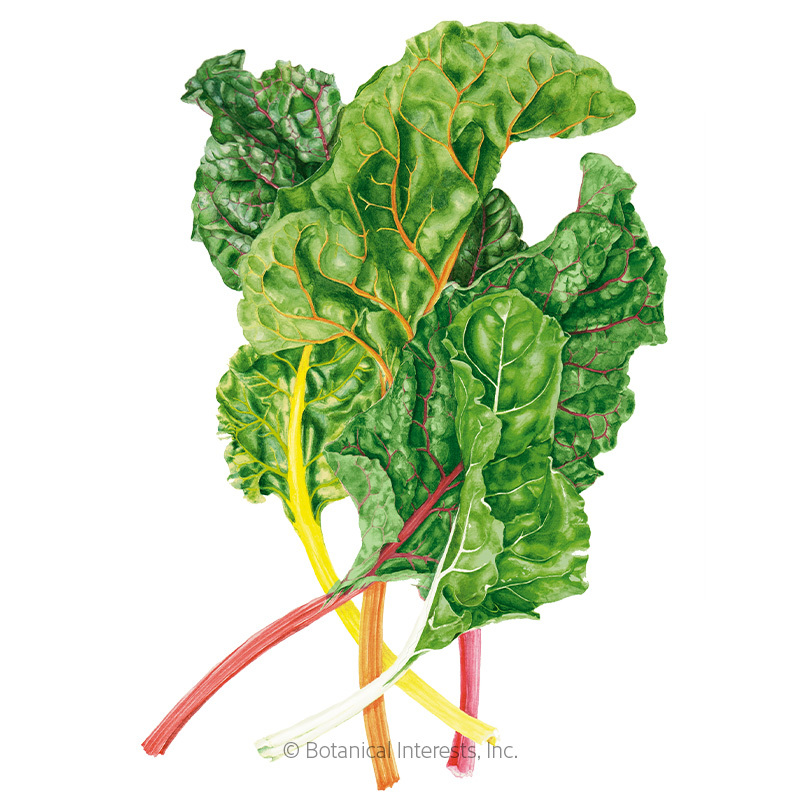 Swiss chard is a good source of minerals, vitamins A, B, C, E, and K, and fiber, while being low in calories.